This set includes VL-100D double action airbrush, D500SR air compressor, and AC-7 cleaning kit. With the double action airbrush, you're able to paint thoroughly. That means that your work will be more detailed than while using a single action airbrush. Moreover, this device provides more control so you can focus on painting. The three spray heads allow spraying almost any paint for the variety of applications. 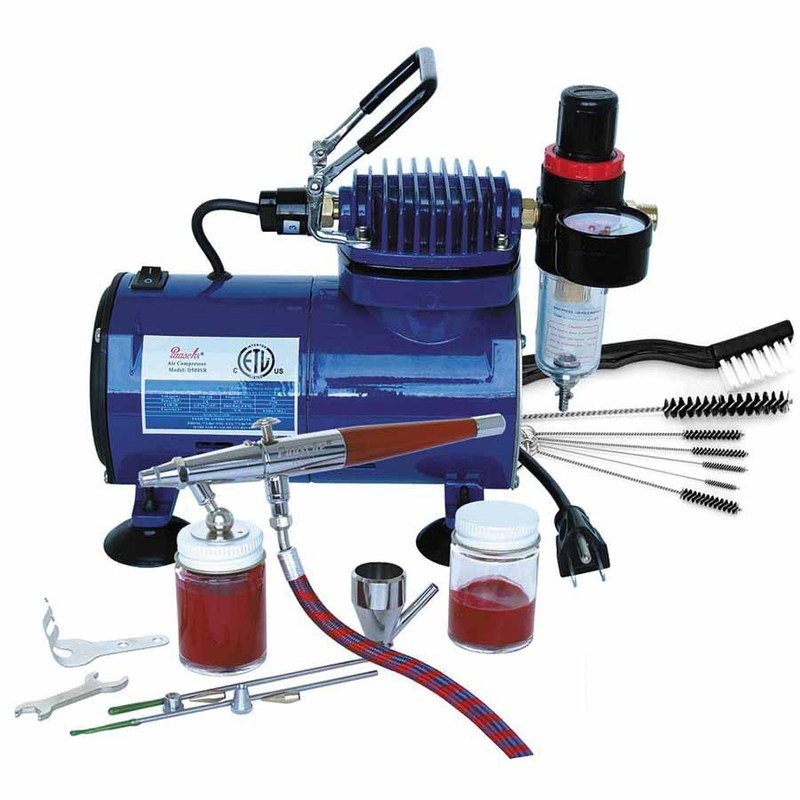 The airbrush compressor delivers up to 35 PSI depending on the spray head. Additionally, the whole kit is perfect for taxidermy, fabric painting, and other hobbies. You can buy this versatile Paasche VL-100D airbrush with the compressor at an affordable price at Artist Supply Source. The Paasche VL-100D set gives opportunity that you might not find in other options there today. The convenient use and production quality are advantages that point out this item from other devices. This kind of compressor suits both professional and amateur use and gives the result you're looking for. Besides, the double action airbrush guarantees better spraying than most alternative items due to easy control over the amount of paint sprayed. You can create an amazing painting with our Paasche VL-100D Airbrush and Compressor Package. 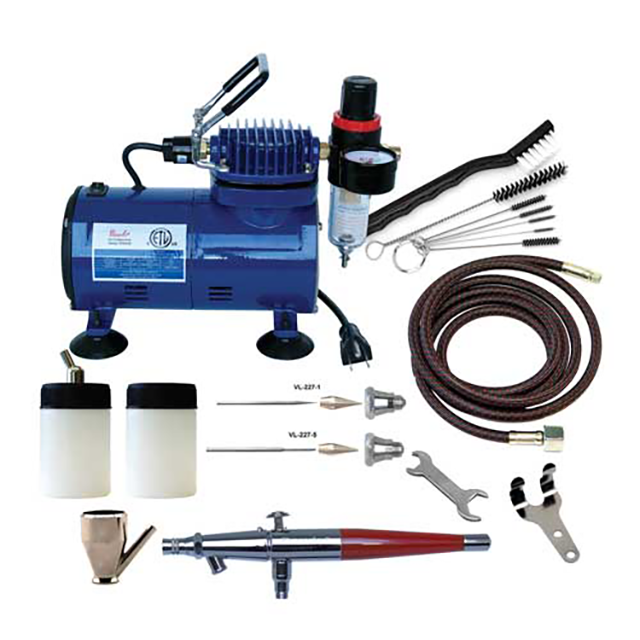 Firstly, the item consists of many parts including D500SR airbrush compressor with the regulator and moisture trap. It delivers steady dry air and also has an auto shutoff function. Secondly, the set includes AC-7 brush cleaning kit and the DVD instruction on how to use the device. Thirdly, the double action airbrush that provides easy painting. Fourthly, the six-inch air hose with couplings allowing for effortless connection. And finally, the set comes with cups, needles, air caps, wrench and other accessories.